I went back to the Burke Museum over the weekend so my kids could also see Cruisin’ the Fossil Freeway (see earlier post.) 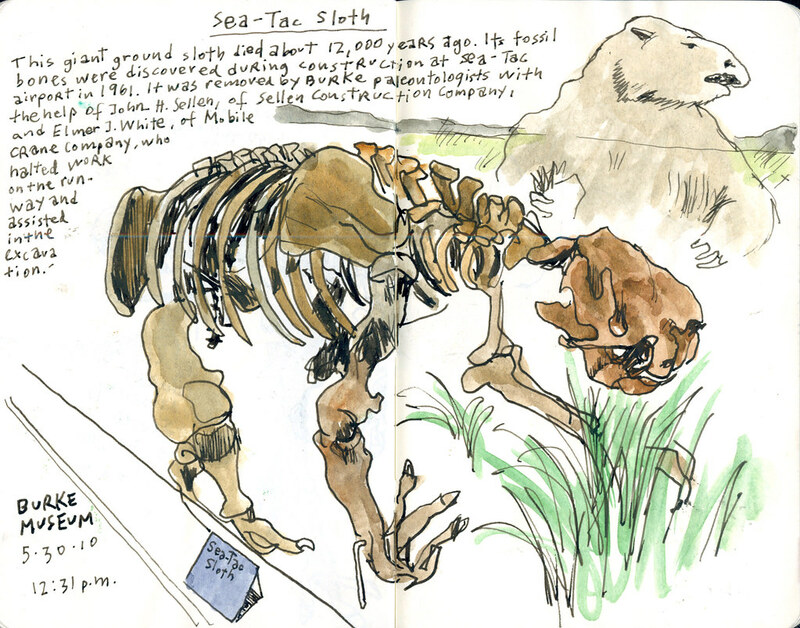 The family outing allowed me to explore and sketch other parts of the museum’s paleontology collection that I had not seen before. Learning about the Sea-Tac sloth was a highlight of the visit. Can you imagine this beast roaming around where the airport is today? My kids seemed somewhat unimpressed, but, you know me, I get easily excited, especially if I come across something interesting to sketch. The remains of the extinct mammal were discovered during construction of a new runway at the airport in 1961.